Happy Friday & Happy August! August means Back-to-School in Ohio. Yesterday I took the girls to get all their supplies, back packs and a few fun items. I spent too much time completing the necessary paperwork and now we are officially ready for school to begin. 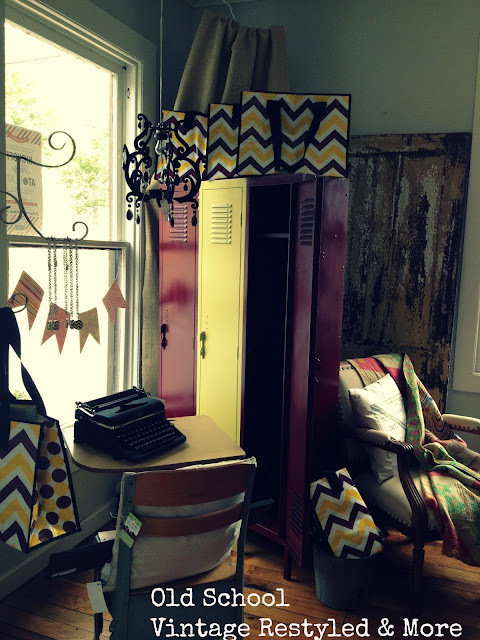 Channeling our school spirit, we decided to rock it Old School at the shoppe! We moved in a child's school desk - complete with original stamps. Lots of local school color items - necklaces, earrings, those awesome chevron/polka dot coolers. The lockers have been painted. 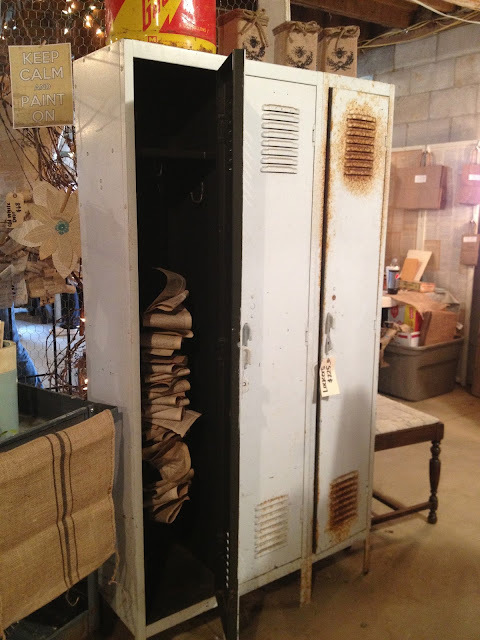 Remember the original lockers? They remained in my barn until this week. Now they have been restyled and are sporting the school spirit! We will be open today and tomorrow 11-4. Come check it all out!